Boston is a great place to go to college. But when I returned to the city of my younger years, I learned that visiting as an adult is much different from living there as a college student. Years ago, when deciding where to go to school, people told me I’d be foolish to go anywhere but Boston. Turns out, those people were right. 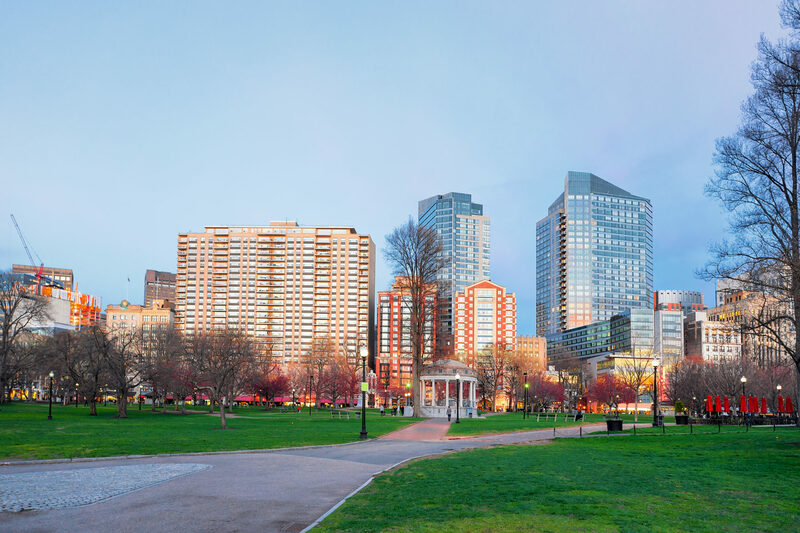 Boston is full of history, young people and an insane amount of fun hangouts, like the Boston Common, the Charles River Esplanade and Copley Square. Living in this big yet manageable city for four years was a wicked awesome experience that I still cherish today. But college was a long time ago — longer than I like to admit. After school, I moved to Los Angeles, but I constantly miss Boston. I try to go back to my old stomping grounds as often as possible, and as an adult I’ve seen the city in a new light. In college, I never realized how big Boston is. That’s probably because I lived in a bubble. My friends and I would pretty much only go to places near campus along the metro’s Green Line. But my friends who still live in the city now reside in South Boston, Roslindale and even the suburbs — areas I wasn’t at all familiar with during my college days. So when I return for visits, we use their homes as a base to explore the haunts of our college days. Our usual first stop? The Pour House, a restaurant and bar across from the Prudential Center. Whenever my friends and I wanted to escape the dining hall, we’d come here. Especially on Wednesdays, when it was “Buck Buck and a Half” night. This meant that chicken sandwiches were only $2.50. What a steal! And nowadays, they still have a half-off chicken sandwich night. While in college, my friends and I were also obsessed with Anna’s Taqueria, a Mexican eatery with several locations around Boston. We used to take the C Line to Brookline to get our hands on the mouthwatering quesadillas and burritos. Now there’s an Anna’s very close to campus — it’s for the best this location opened after I left, or my “Freshman 15” would’ve become a “Freshman 50.” Today, the cuisine is just as amazing as I remember. And while I live in Southern California, where Mexican food is the best, the food at Anna’s tastes like nostalgia! When I visit both restaurants, however, I feel old. Really old. This happens a lot during my return trips to Boston, a town full of early 20-somethings and even teenagers. Did I look that young when I was in college? Do I look old to all these kids? Please, no one call me ma’am! Traveling with a group of picky eaters? Go to Faneuil Hall, where there are over 36 food vendors to choose from. As college students, my friends and I frequently hung out in the North End, known for its authentic Italian restaurants. The South End, on the other hand, was still a budding neighborhood back then. Now, it’s one of the hippest areas in town — especially when it comes to eating brunch. Brunch wasn’t really a meal I ate very often in college. Probably because I woke up most weekends just in time for dinner, and I was a college kid on a budget. 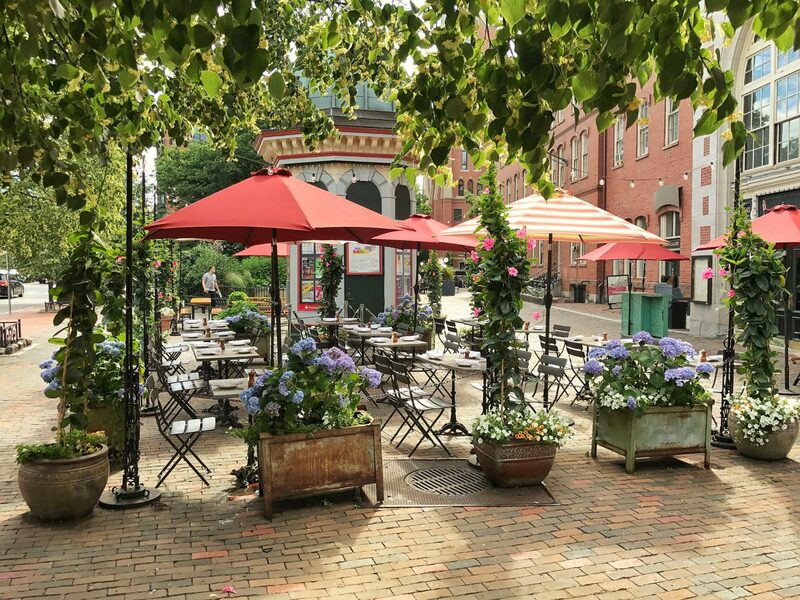 In more recent years, I’ve discovered amazing dining spots on or near Tremont Street, from The Beehive to Aquitaine. And as an adult, I’ve found brunch to be an especially nice activity to partake in there — after all, now I can legally enjoy mimosas and bloody Marys. T rides on the Boston metro system cost $2.25 using a CharlieCard, and you can pick one up at most downtown stations. That said, pack your most comfortable shoes! 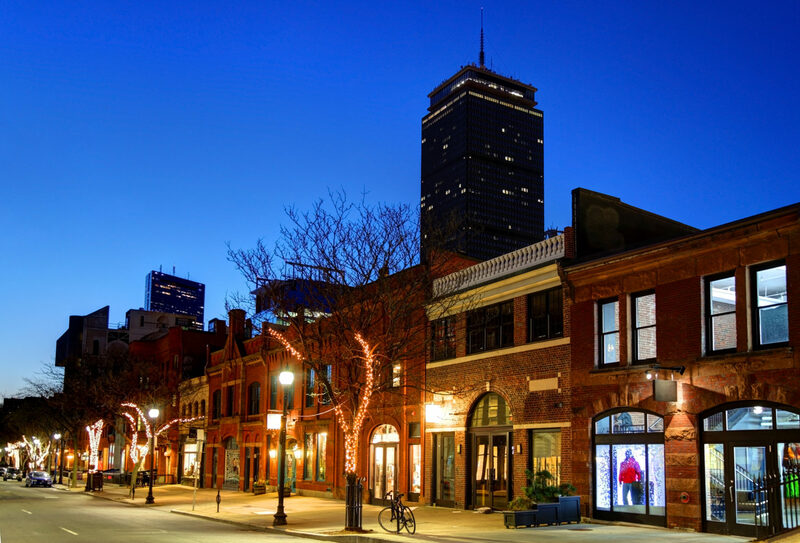 Although you’ll use the metro to jump between neighborhoods, Boston is truly a walking city. Truthfully, when I go back to Boston, I mostly just want to walk around and take in the familiar sights of my college years. Things have certainly changed. The old 7-Eleven where my roommates and I used to grab late night snacks is now a Panera. And the Bennigan’s — where we’d pretend it was someone’s birthday every time we visited — has been closed for years. I’d be lying if I said wandering the streets of Boston isn’t an emotional experience for me (sunglasses are necessary no matter the time of day). There’s just something about revisiting a place where you used to live that evokes fond memories. 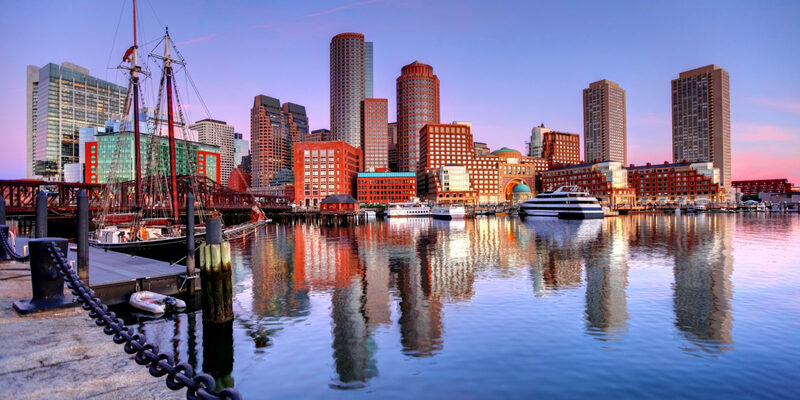 The city contains a ton of our country’s history, from the Freedom Trail to the site of the Boston Tea Party. Yet it also holds the history of all of us who attended college there. Those four years are a time when you have your whole life ahead of you. It’s the special era between innocence and adulthood. And I’m forever grateful I got to spend that chapter of my life in Boston, one of the greatest cities in the world. Go Sox! If you’re traveling on a budget, Boston’s your city. Tours of the USS Constitution Museum, Boston Public Library and Harvard Yard are completely free — as is climbing to the top of the Bunker Hill Monument in Charlestown. And the Hatch Shell at the Charles River Esplanade is always putting on free events like movie screenings and concerts.